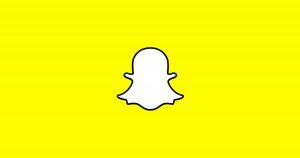 Snapchat has redesigned its app with a view to luring more advertisers and users and hopefully revive revenue. Following three quarters since going public in which sales have been disappointing, the disappearing-message firm said that users will be encouraged to increase the amount of time they spend on the app. This will consequently add the appeal of Snapchat to advertisers in the long term. After the redesign the main change that is apparent is the separation of content generated by friends of users from content generated by media firm. Snap claimed the move would differentiate it from other social media platforms like Facebook. “While blurring the lines between professional content creators and your friends has been an interesting internet experiment, it has also produced some strange side-effects (like fake news) and made us feel like we have to perform for our friends,” a blogpost from Snapchat read. Earlier in the month during an earnings call, the chief executive officer of Snap Inc, Evan Spiegel, had hinted that a redesign of the app was in the offing. At the time he warned that changes had the potential over the short term to disrupt growth. To see content from friends, users of Snapchat will now be required to swipe right while swiping left will allow users to see content generated by media parts of the social media platform such as ESPN and NBC. Like Facebook Snap has indicated that content will be organized using algorithms and based on the behavior of the user. Rather than listing friends based on the most recent conversation like is the case with messaging apps, the list will be organized based on the importance of the friend to the user. Similar behavior cues will also be used with regards to the media feed. Initially the redesigned app will be made available to a select number of users before it is rolled out to everyone. Using algorithms to organize content will also allow Snapchat to roll out feed ads which are popular with marketers on Twitter and Facebook. It will be different though in that users of Snapchat will not be served content on the basis of what is being shared or liked by their friends. This means that there is no likelihood of a Snapchat post going viral inside the app like would be the case with Facebook as users will see content based on their personal preferences and not based on what is popular with others.